The Muir Woods Shuttle brings visitors from off-site locations to the park and back. The shuttle serves three bus stop locations. Shuttle reservations are location-specific, and the tickets are round-trip. Visitors booking shuttle reservations do not need a parking reservation. Please review the below information to help determine which location is best for you. There is NO cell phone service or WiFi at or around Muir Woods National Monument. Download your parking reservation or shuttle ticket in advance. Reservations at this location are made for a 30-minute departure window. Recommended for visitors driving to a shuttle stop. Parking reservations are not needed. Reservations at this location are made for an exact departure time. Please arrive 15 minutes before your scheduled departure time. Recommended for visitors taking the Sausalito Ferry from San Francisco. The shuttle runs on all weekends and holidays. Additionally, the shuttle runs from Sausalito and Marin City on weekdays during the peak summer season, from June 17th to August 9th. The last shuttles of the day fill up quickly, so plan your departure time accordingly. All shuttles can accommodate wheelchairs. Bikes are not allowed on or inside the buses or in Muir Woods. Bike parking is available at the Pohono Park & Ride lot and near the Sausalito Ferry Terminal. Service dogs, as recognized by the Americans with Disabilities Act are allowed in Muir Woods and on the shuttle. All other dogs and pets are not allowed on the shuttle or in Muir Woods. Muir Woods Parking and Shuttle Reservation Service participate in the Leave No Trace program with the shared goal to sustain healthy, vibrant natural lands for all people to enjoy, now and into the future. PACK IT IN, PACK IT OUT. Visitors arriving by privately owned vehicle or motorcycle must have a reservation in advance. Parking reservations will not be sold onsite in the parking areas. Parking reservations are for a 30-minute arrival window. Please arrive within your reserved arrival window.  Regardless of your arrival window, visitors may stay in the park until closing hours. The parking areas are walking distance from the entrance to Muir Woods. Your reservation guarantees you a parking space in one of these areas. There is no shuttle from parking areas to the park entrance, so visitors booking a parking reservation do not need a shuttle reservation. Reservations are required for ADA spaces. There are eight (8) ADA spaces available in the main parking lot. There are two (2) electric vehicle (EV) charging stations in the main parking lot. Visitors wishing to use these charging stations must reserve an EV space. A $3 charging fee will be applied to the reservation of EV spaces.